Repair Damaged Bolt, Fastener & Stud Threads Fast and Easy! 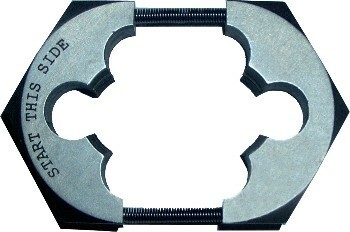 The Murray Tools Split Die Thread Repair System is designed to save you time and money. 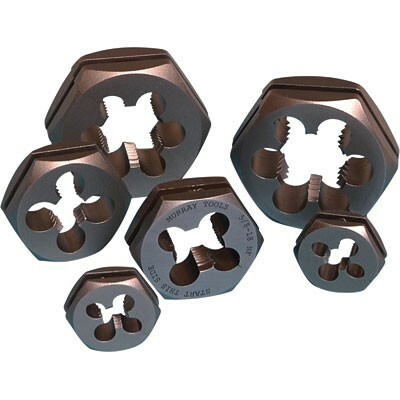 Because the hex dies are split and utilize a special spring design, you can place the metric and standard thread dies below the damages on your bolt or stud, then using a six point deep well socket, chase the threads clean. This patented system is fast and easy to use, and because you start on clean, undamaged threads, you eliminate the possibility of cross threading. 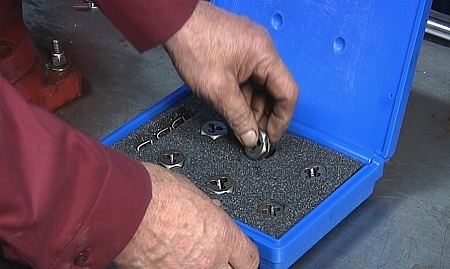 This tool reduces the need to find or buy replacement fasteners or threaded components and provides the peace of mind knowing the repaired fastener is the original. The unique patented design saves you time by avoiding the need for major disassembly or teardown of equipment to remove a damaged stud or hard to reach damaged bolt. Repairs damaged fasteners faster than conventional thread repair tools. Eliminates the need for aftermarket replacement parts that are often too long, too short, or the wrong hardness. Built for industrial use and made to withstand conditions faced by the U.S. Military. Heat-treated, hardened, high-grade carbon steel meets the highest quality standards. By using a deep well six-point socket wrench, you can use our repair tool in tight quarters. Common applications include Automotive, Marine, Industrial, Mining, Agricultural and Manufacturing. Check out the Split Die's ever-expanding list of Uses & Applications! *Kit includes the above 6 Dies and 3 Replacement Springs in a Hard Plastic Case. *The Dies are also sold individually - see the "Related Items" section below. Simply put, these dies will turn an "oh no" into a "no problem". Don't just take our word for it, check out our Customer Testimonials! Looking for other sizes? Mini or Master Thread Repair Kits? View our Split Die Summary Page for a comprehensive list of our offering. SAME DAY SHIPPING IF ORDERED BY 1PM CST.